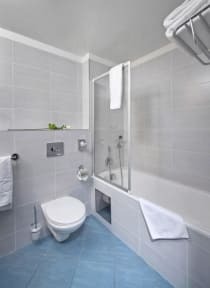 Hotel Ehrlich, Praga, Czechy : Rezerwuj teraz! 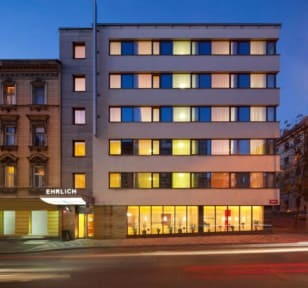 Hotel Ehrlich is in Žižkov, wchich is circa 20 minutes by bus from city centre. Behind the hotel is park Vítkov, where is the view on the whole Prague, where you can relax or make a sport. The room is with air-condition, hairdryer, LCD TV, telephone, safe. Hotel also offers the luggage room, lending of iron, arranging the city tours and giving clear information. Cancellation policy: 48 hours before arrival. In a case of a late cancellation or a no show the guest will be charged the value of a one night.